While the Cheddarsphere might be a sadder place for the loss of two great sites, there is also some good news. One bit of good news - great news, actually - is that this week marks the official launch of the book "Unintimidated." No, not the dreck that Scott Walker's ghost writer puked up. 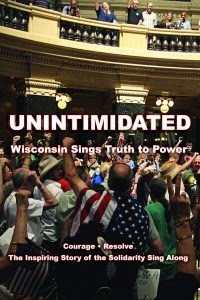 I'm talking about "Unintimidated: Wisconsin Sings Truth To Power." This is the story of the Solidarity Sing Along that has occurred at the state capitol every day for the past two and a half years. For over two and a half years, Governor Scott Walker has attempted to stifle dissent in the Wisconsin Capitol. On March 11, 2011 a handful of people gathered to sing songs of resistance near the bust of “Fighting” Bob LaFollette. As public voices were being shut out of hearing rooms and corporate-sponsored legislation was being passed in the middle of the night, voices were being raised in the Rotunda singing songs of peace, justice, and solidarity. Soon more and more people gathered to sing every weekday at noon. Then Walker’s regime cracked down. While the governor traveled in and out of the Capitol through underground tunnels, too afraid to interact with the people he purported to represent, his newly militarized police force began arresting singers. The Capitol Police arrested grandmothers, teenagers, military veterans, elected officials, members of the press, tourists, and hundreds of other peaceful Wisconsin citizens who were simply using the Rotunda for its intended purpose—to petition their government for redress of grievances. The story of the Solidarity Sing Along is now being told through the words and cameras of the people who lived it. Unintimidated includes a first-person account interwoven with photographs of people who have faced citations, harassment, threats, and arrests, and yet keep coming to the People’s House to express their dissent. Unintimidated: Wisconsin Sings Truth to Power was just named runner-up for best photographic book in the 2013 Great Midwest Book Awards. All proceeds from the sale of the book go to the First Amendment Protection Fund to help defray court costs for the many who have been arrested standing up for Free Speech. Release date is November 19, 2013. I have had the opportunity and the privilege to see an advanced review copy of the book. It has a well-written, moving narrative by Ryan Wherley which captures the spirit of the people who started out with outrage at the atrocities committed by Scott Walker and the other ALEC-controlled puppets. This outrage grew into steely resolve as Walker had his storm trooper goons descend on the people, arresting them for daring to sing truth to corrupt power. But as illustrative and flowing that Wherley's writing is, the real thing about the book are the array of photos taken over the years. From red heart balloons to the musicians to singers being wrongfully arrested and even assaulted by capitol police, the pictures are moving, vibrant and well laid out. The photographers are the singers themselves, reporters like Rebecca Kemble and activists like Jenna Pope. You can order the book now online at their website. 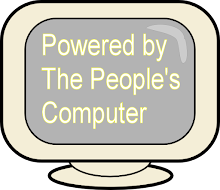 The official launch is Tuesday afternoon, starting at - where else? - the Capitol and then moving to the aptly named Harmony Bar & Grill in Madison. And speaking of Jenna Pope - Jenna has her own photobook, An Activist Armed With a Camera, on sale as well. Unlike the corporate media, Jenna is willing to put her life on the line to not only get the shot, but to also make sure that the truth gets to the public. 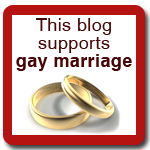 Please help Jenna with the self-publishing of her book and allowing her to continue with her mission of making sure the truth gets told.